Like any big life event, buying a house can be both incredibly exciting and extremely stressful, often at the same time. The joy of finding a property you love can swiftly turn to frustration when faced with being outbid, lengthy buying chains and copious legal jargon. Sadly, it is not always possible to escape these issues when buying a house. But with the right advice, you will be able to successfully navigate the potholes and find the right property for you. For buying advice you can trust, contact Castles Estate Agents on 01793 611677. Unfortunately, many people don their rose-tinted glasses when it comes to deciding to buy a home, focusing solely on the excitement of finding a property and dreaming of its potential. Whilst we agree that this is one of the clear highlights of the house buying process, we are also aware that it can be all too easy to fixate on this and gloss over important factors that should be taken into consideration alongside the excitement. 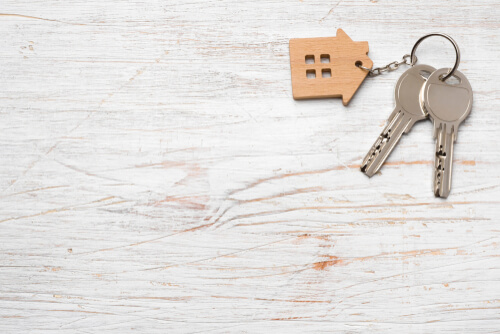 From our many years of experience supporting people buying homes, we have noticed a continuing trend of people beginning their property search lacking one key thing - an accurate picture of their buying position. Yes, you’ve saved for a deposit that you think will get you on the road to buying your dream home and you can’t wait to start looking for properties that you think are in your price range. But without first speaking to a mortgage advisor to understand your buying position, you’re starting out with one hand tied behind your back. The average house price in Swindon is around £231,316. According to Halifax, the average deposit for first-time buyers in the UK is £32,899 or 16 percent. The minimum deposit required in the UK is 5 percent, however to get a better mortgage offer, buyers need to have saved at least 10 percent. Additionally, buyers will need to make provision for solicitor and conveyancing fees, which can add up. Mortgage fees can cost anywhere from £500 to £2,000 (some mortgage providers will add this to the mortgage total). Without a solid sense of how much money you are working with before you start out, you may find yourself quickly coming back down to earth with a thump. One way to get a clear sense of your buying position is to seek a Decision in Principle from a mortgage lender. A DiP is a statement from a lender declaring that they would lend you a certain amount of money, usually dependent on an initial credit check. Having a statement such as this can help towards proving to sellers and your estate agent that you will be able to get a mortgage for the amount you need. It also shows that you are serious about buying and are ready to move forward sooner rather than later. Prospective buyers with such an agreement, even if only in principle, can appear more attractive to sellers, strengthening any offer you make having shown that you have taken action to secure finance. When it comes to finances, a proactive buyer is a much more attractive buyer. For those who have a limited credit history or have experienced past credit problems, a Decision in Principle can also give greater reassurance of your buying position. It is important to remember, however, that a DiP is not a guarantee and should not be taken as such. Additionally, while some checks undertaken by mortgage lenders for a DiP will leave a ‘soft imprint’ on your credit file, most will leave a ‘hard imprint’, so it is important to ensure that you do not have too many credit application searches over a short period, as this could negatively affect your credit score. A DiP can last anywhere between three and six months. During this time, rates may change and you may wish to cancel the principle agreement to take advantage of a better offer. However, it is always better to be prepared and in control of your buying position by having agreed a mortgage in principle, whether you decide to change it later or not. This is Money has a useful mortgage calculator that lets you compare mortgage rates and fees. For advice and guidance on how to put yourself in the best position for finding a property that meets your requirements, making an offer and having it accepted, speak to our expert advisors at Castles Estate Agents in Swindon. With years of experience helping people with buying and selling homes across Swindon, we have the knowledge and expertise to make your buying process as smooth as possible. Contact us on 01793 611677. Once you have worked out your buying position, take a look at some of our houses to buy in Swindon.